Mint are an exciting Grimsby based four piece made up of Zak Rashid (vocals and guitar), Adam Shaw (lead guitar), Andy Maidens (bass) and Sam Chapman (drums). Based on first impressions, both of them as individuals and from seeing them live a few months ago, I immediately perceived them to be fun, confident and... well, for want of a better word, mint. 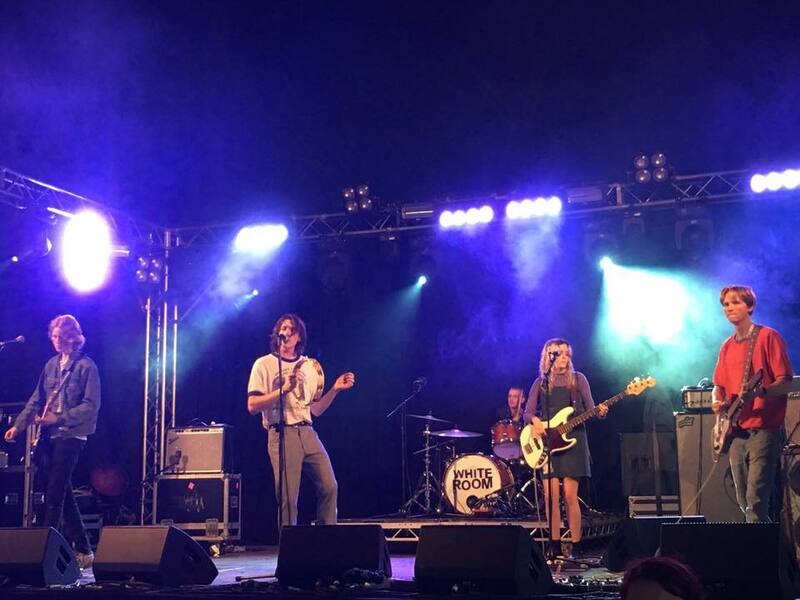 Suffice to say with the release of their EP 'Happiness is Heroin' at the beginning of the month, the band have most definitely lived up to their name! They're very much a guitar band, complete with catchy hooks and swagger aplenty but there's definitely a hint of quirky, high energy pop within their sound as well; this not only makes them stand out from the crowd as they have such a unique and instantly recognisable sound but I reckon it will also make them all the more commercially appealing to radio stations and other media outlets. 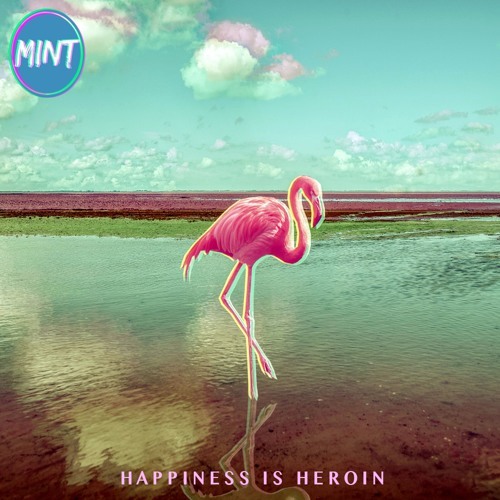 Mint have shown themselves to be an industrious and dynamic young band with heaps of potential but for me, they have the likeability factor too which in this day and age is just as important as having the ability to write a good tune. Their music is such that you can listen to it over and over again and never tire of it; opening track 'Elise' is definitely my personal favourite, but overall it's an incredibly strong debut release which really shows how much potential there is for them to become the UK's next big breakthrough band. The Brookes are the Grimsby based guitar band consisting of Benjamin Keal, Alex Smart, Elliot Gant and Bryn Cattell. 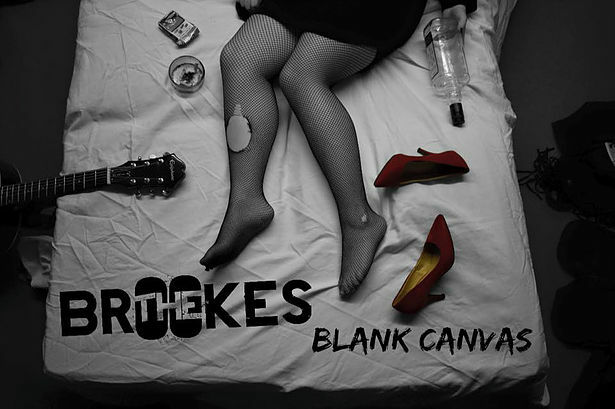 One thing's for certain, new single 'Blank Canvas' is one BIG guitar anthem, which really shows off not only their talents but I feel it also displays a real maturity in their musical style. What immediately caught my attention were the brooding bass lines in the introduction, and the gradual build in momentum of the guitars as the song kicked in. The lyrics are compelling, clever and poetic. On first listen, I couldn't help but think that it reminded me of early Arctic Monkeys material due to the grittiness of the vocals and the nature of the stellar guitars that accompany them throughout. Comparisons aside, that's not to say that they don't have their own style because they certainly do; this is the first track I've heard from The Brookes, but it's not difficult to see that this is a band who are not only confident and capable musicians but know exactly what they want to achieve and have the determination and flair needed to make it big. 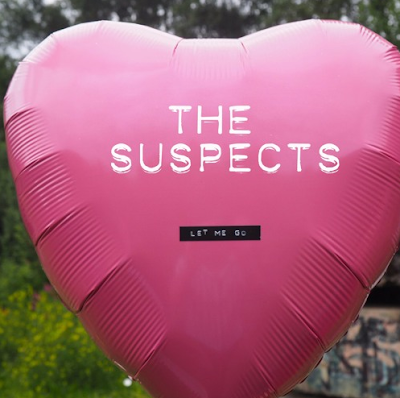 I'd never heard of The Suspects before until they sent over their recently released new single 'Let Me Go', but as soon as I listened to it, I realised how special this band are and how much raw potential there is here- very exciting indeed! The band are based in Manchester and consists of David Greenwood (vocals), Joshua Hill (lead guitar), Brendan Hill (drums), and Zak Meyers (bass). This track is very much my thing; I like music that has a sort of dark, brooding edge to it- which this most definitely does. The vocals are quite atmospheric, and the first thought that came into my head was that they reminded me a little of those of Joe Strummer of The Clash. It's quite an intense track, both musically and lyrically, but I like that; it's powerful and engaging from start to finish and made me eager to listen to more of their work which I'm sure with any band is the desired effect when releasing new music. I was on a complete high after having watched JUDAS completetly smash their unexpected set on the main stage, and ready for some more fantastic live music I of course headed straight back to the Jack Rocks/This Feeling stage where I arrived just in time to see Glasgow four piece Medicine Men deliver a shimmering performance packed full of melodic, punchy and thoroughly enjoyable psychadelic-rock tunes. Next came Paves, who ended up being my favourite discovery of the day. Their bluesy-rock sound coupled with frontman Luke Shield's deliciously gritty vocals had me completetly hooked from the first note. It's hard to describe, but there's definitely something somewhat intriguing about this band. From their style, both in terms of how they dress and also musically, they're very different; they have such an effortlessly commanding and dynamic stage presence that it's hard to look away. I'd been looking forward to White Room all day. Since seeing them for the first time a couple of months ago I've been completely addicted. Every song I could lay my hands on, I've had on repeat, and so I was very excited at the prospect of seeing them live again for this- my third time. From start to finish, it's an exultant and passionate display and by now everything that I've come to expect from their live performances. Energetic from the word go, frontman Jake thrashes about the stage with his tambourine, every inch the compelling and entertaining frontman. Sharp guitars, and rip-roaring drums are consistent throughout but I was particularly impressed by the powerful bass lines, not to mention great backing vocals, from Josie McNamara- the most recent addition to the band. It's an all around impressive show and I'm left wondering why the Festival Republic Stage tent wasn't completely packed to the rafters. Their zest for music and performing is obvious, and their talent and potential even more so. The sun finally came out in the early evening, just as Imagine Dragons came out to play their main stage set. 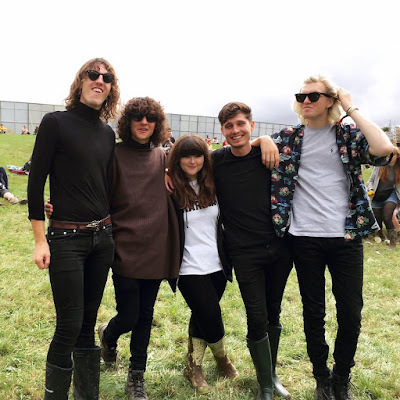 I saw them back in 2014 when they last played Reading and Leeds Festivals, and I remember really enjoying that. I've always really loved their debut album which was packed full of fun and memorable tracks but I must admit I haven't really taken to their latest release 'Smoke And Mirrors'. A couple of songs in and I wasn't really feeling it, plus there was a bit of a buzz in the air about Bang Bang Romeo, who were just about to take to the stage back in the Jack Rocks tent so I headed back there instead. 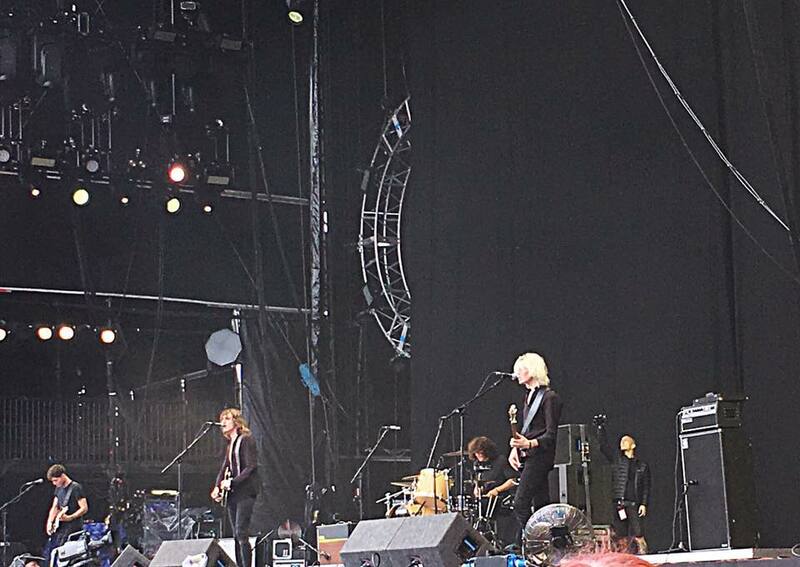 I remember seeing them last year when they supported Blossoms, but I haven't seen them since. I have no words to describe the absolutely jaw droppingly brilliant voice of Anastasia Walker... she's probably the most impressive female vocalist I've EVER heard, and after this performance can now count Peter Crouch and Abbey Clancy among her fans. The atmosphere for their set was absolutely mind-blowing, and it's not difficult to see why everyone was so excited. Musically, they don't put a foot wrong; it's a perfectly crafted, exciting and extremely professional performance- and what's most impressive to see is the clear and strong connection between them as a group. They are perhaps some of the most skilled and captivating performers I've ever come across, and I think every single person in the audience would agree with me there. 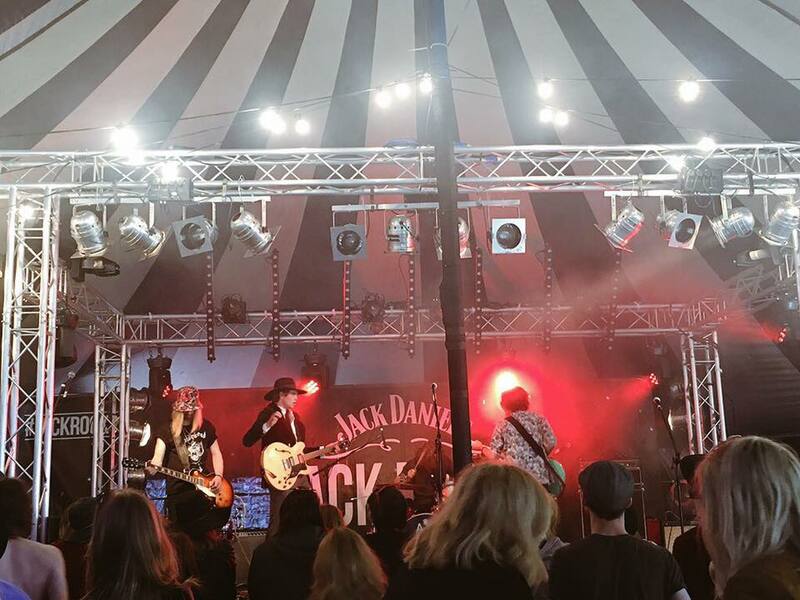 Throughout the day I did a lot of floating about the Leeds Festival site but the majority of my time was spent at the Jack Daniels/This Feeling stage, which provides such a fantastic platform for up and coming bands to showcase their talents at one of the UK's biggest music festivals. The line up was extraordinary. Though it's always great to go to a festival and get the opportunity to see some of the worlds biggest music legends such as Red Hot Chilli Peppers live- personally, nothing excites me more than new music. Bring on next year! Despite having spent the majority of my life at one gig or another since I was about 13, until two years ago I'd never actually been to a proper festival before. Basically, I don't like camping and I've always been a bit of a wuss so spending a full weekend roughing it always seemed like something I'd hate. How wrong I was! It was work friends that persuaded me to make my (at the time, reluctant) Leeds Festival debut in 2014 and I kid you not, my life has NOT been the same since. It's become my annual little escape from reality and something I look forward to all year. As I'm sure most of you will agree, being at a music festival is like being in a little bubble for a few days where in the only things you have to worry about are which bands you're seeing that day and where. I love it! This year is the first since 2014 that I've not done the full weekend, and because I'm a bit skint at the moment I didn't actually have any plans to attend at all till I found out last minute that one of my favourite bands JUDAS were set to play. I got myself a day ticket and ended up having one of THE best days of my life. Kudos to anyone who made it through the full weekend, because that mud was off the scale horrendous! So this year there was a brand new stage at the festival, and one which I'm extremely excited about. 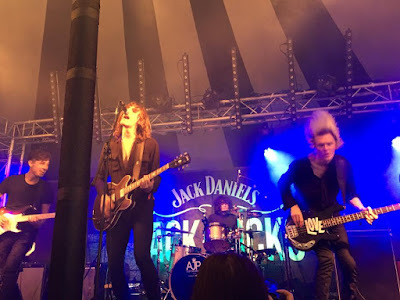 This Feeling sure do know how to put on a jolly good show and the line up on the Jack Rocks/This Feeling stage was beyond brilliant and alone would have been worth the cost of a weekend ticket. 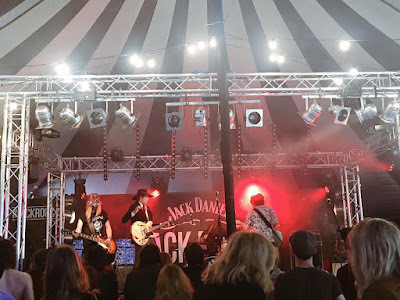 Over the course of three days, it played host to so many fantastic up and coming bands from all over the country, including The Barmines, Cupids, Hello Operator, Cabbage, The Mexanines... to name but a few. I'm absolutely gutted that I missed Friday and Saturday, but when I attended on the Sunday I spent most of my day at this stage and as well as seeing a few bands that I already knew and loved I discovered a fair few really great new ones too. 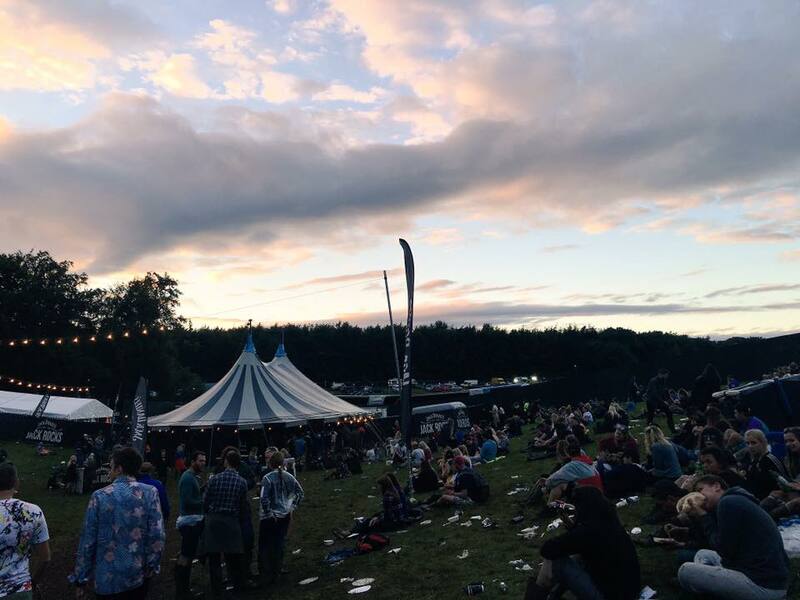 Bands aside, the reason I spent so much time there was the atmosphere; I saw a lot of familiar faces, and generally everyone was super friendly and relaxed. Plus... for some reason, the area surrounding this tent seemed to be one of the only places on the entire festival site that wasn't a complete mud bath! I'll be honest, my day got off to a horrible start. 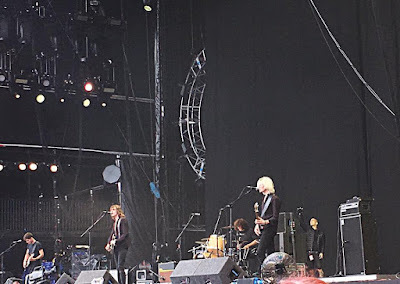 The traffic was awful getting into Bramham Park, and then when I eventually DID get in it took the best part of an hour to walk from the car park to the arena due to the mud and by the time I arrived I'd missed Sundara Karma who I'd been really looking forward to. Unfortunately my late arrival also meant that I only managed to catch the last few songs of The Strawberries set, but what I did see was - as always- brilliant and cheered me up after the initial shoddy start to my day. Everything about this band oozes charisma and their music is deliciously addictive and exceedingly charming to boot; music aside (and I'm putting myself at risk of coming across as ever so slightly cheesy here but it simply has to be said) the band have a fantastic image and just LOOK cool. I'm gutted I didn't see more of their performance, but they had a decent sized audience all of whom seemed completely captivated by what they were seeing and hearing. Shortly after came Manchesters' Dantevilles, who admittedly I'd never heard of before until then. They impressed me a lot, and seemed to get everyone moving which made for a great atmosphere. They have an uplifting and refreshing sound and it's clear to see that this band are all about the infectious and shimmering tunes that get stuck in your head and leave you wanting more. Perfect festival band! Minutes before JUDAS- the band that inspired me to buy my ticket in the first place- took to the stage for their performance, it was announced that not only would they be playing the Jack Rocks stage... but they'd also been offered a slot on the main stage due to another band having pulled out last minute. Knowing what an exciting and lifechanging opportunity this was for them, I was and still am completely over the moon and VERY proud. So with all of that in mind, there was a real buzz in the tent when they kicked off performance number 1 of the day. They kicked off their set with briliant new song 'Find Someone', before launching into crowd pleasers 'Youth Of The Young Age' and 'Love Is The Enemy'. Everyone was dancing, singing and there was a real glow about the band themselves who were grinning from ear to ear the entire time and so obviously thrilled about the way things were going thus far. Less than an hour later and I found myself right at the very front of the main stage ready for performance number 2. At this point, I was literally jumping up and down with excitement and in complete disbelief so I can't even begin to imagine how the guys themselves must have felt! When the band were introduced and walked on stage, I felt as if many of the people around me didn't quite know what they thought or felt but it was THE best thing ever to see people starting to get into it as the performance went on and by the end the majority of people around me were dancing. 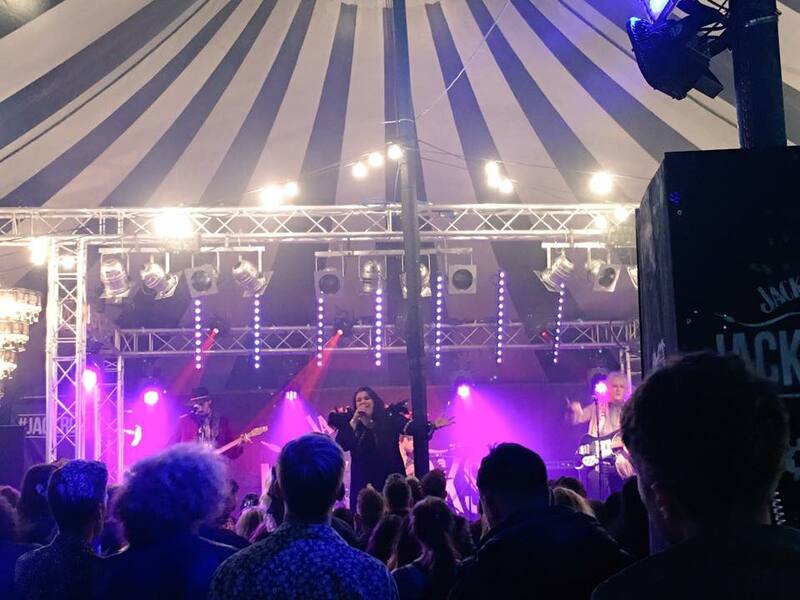 To unexpectedly end up playing to that many people must have been daunting and more than a little bit overwhelming, but if JUDAS were scared then you honestly couldn't tell; they performed as if they'd been frequenting main stages for years.